creativity | What's not to like? 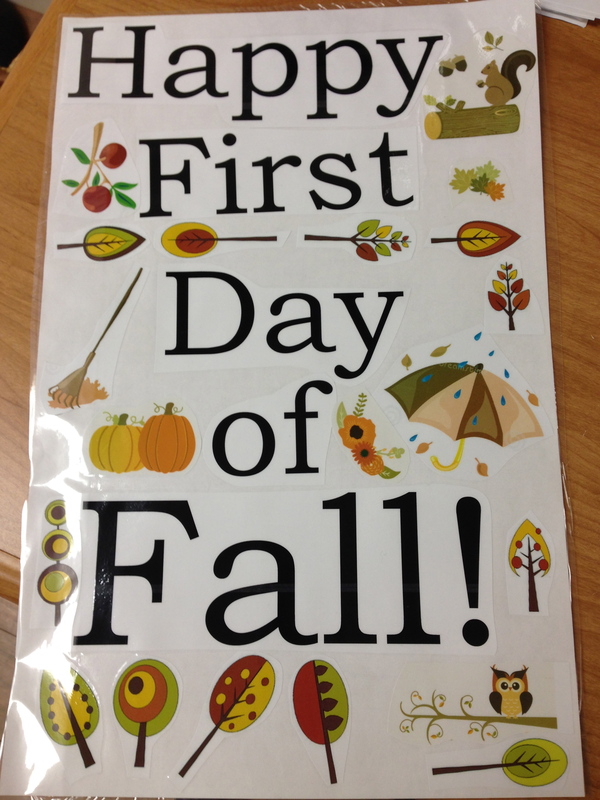 Last week I made this poster on 11×14 paper, with color clipart, and laminated it. Then looking at a jigsaw puzzle template online, I scored it into pieces with a ballpoint pen. I cut the puzzle into pieces, re-laminated each piece so all of the edges were sealed, and hid them in the garden. 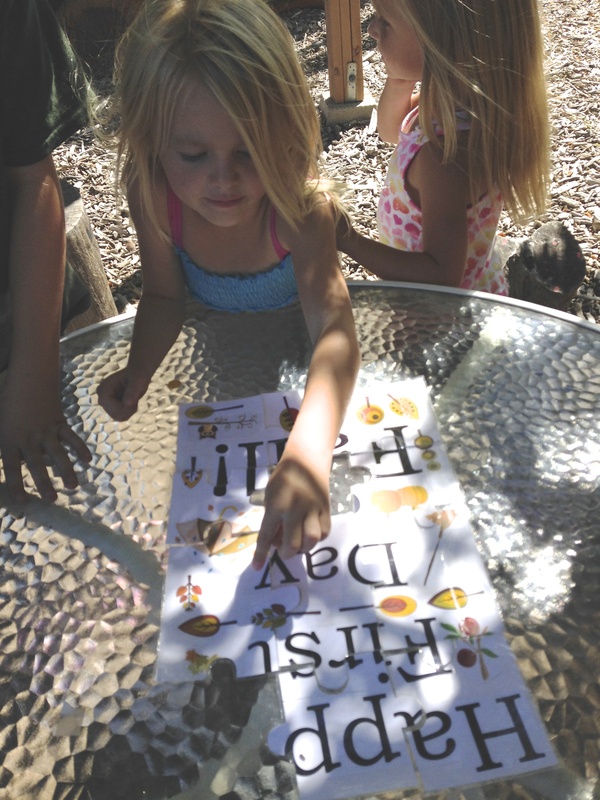 When I took the K students out for afternoon garden class, they hunted for the pieces, returning to the table to fit it together. I had little rolls of masking tape on the table to help the pieces stay together. 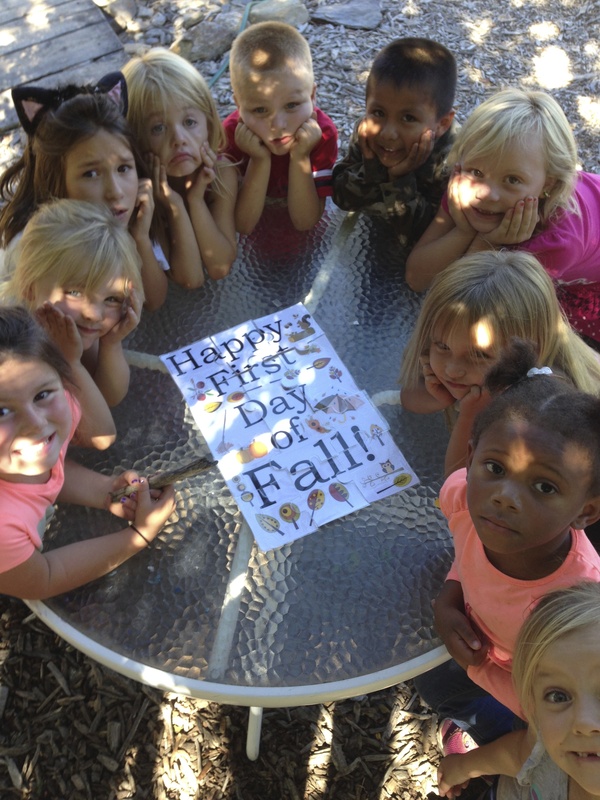 After we assembled the message, I passed out magnifying glasses and we went looking for signs of fall. In the process, we discovered a stick bug. We made a circle and gently passed it around. And then we posed for this picture! 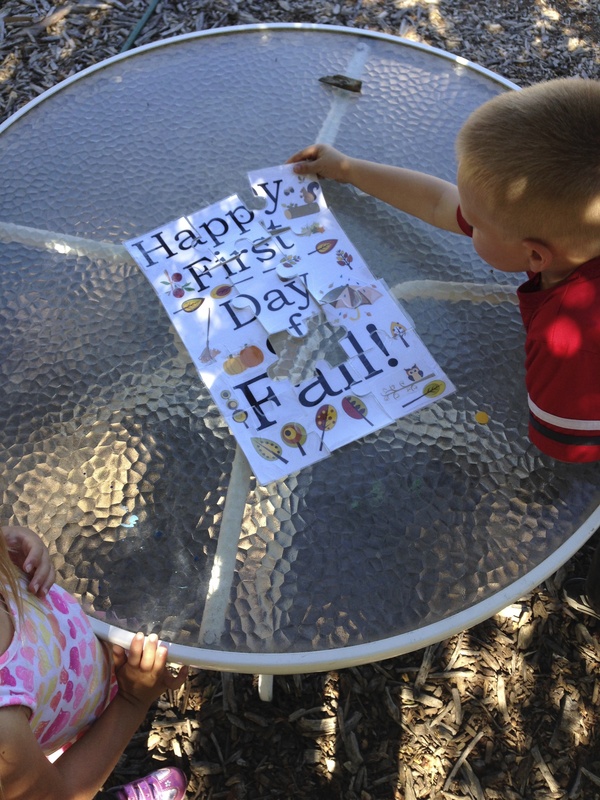 I love how this activity turned out and plan to make a set for each season. Fun way to end: I gave each student a piece and they re-hid them for my next class—almost as much fun as finding them! And by winter, I mean the months of November and December and not the weather, as it has been distressingly warm here in Southern California. 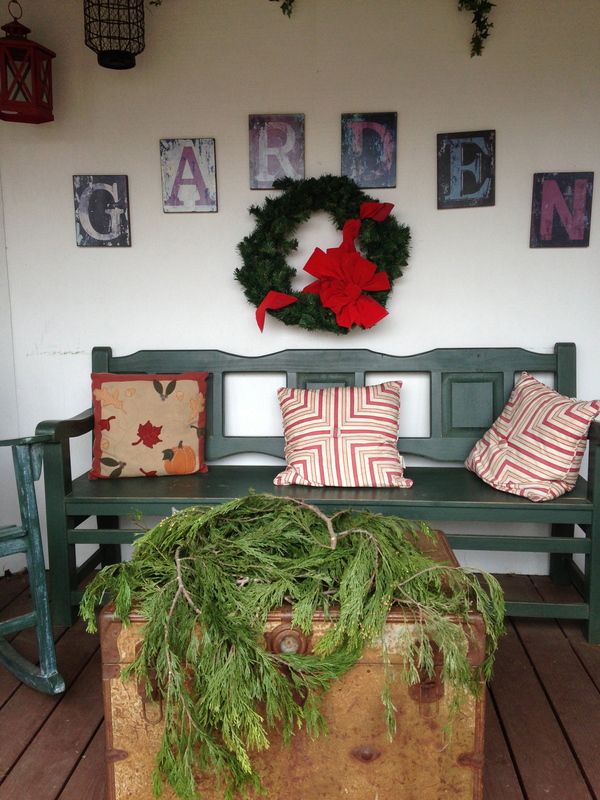 Shed your jacket and join me as we take a look around the garden in the past few months. 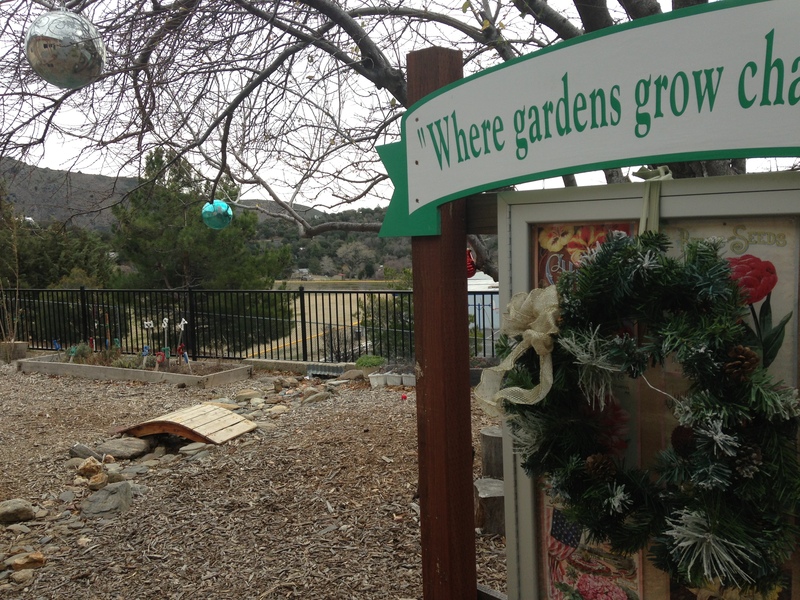 I’ve seen school gardens that add holiday decorations throughout the year, so I’ve been keeping my eyes out for ornaments and wreaths at garage sales. At the end of my church’s rummage sale, everything was on sale for $1 a box. I walked away with big plastic ornaments and wreaths. 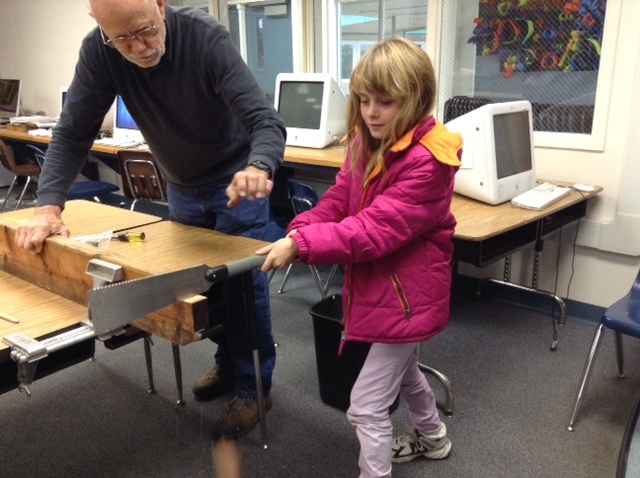 Students help me put it all up at the end of a garden class (building ownership! 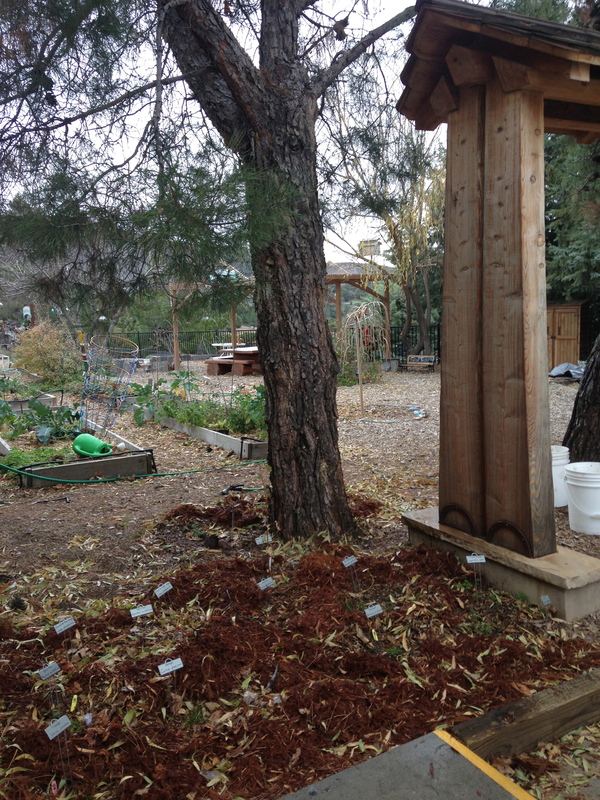 ), and we added bunches of freshly cut incense cedar. 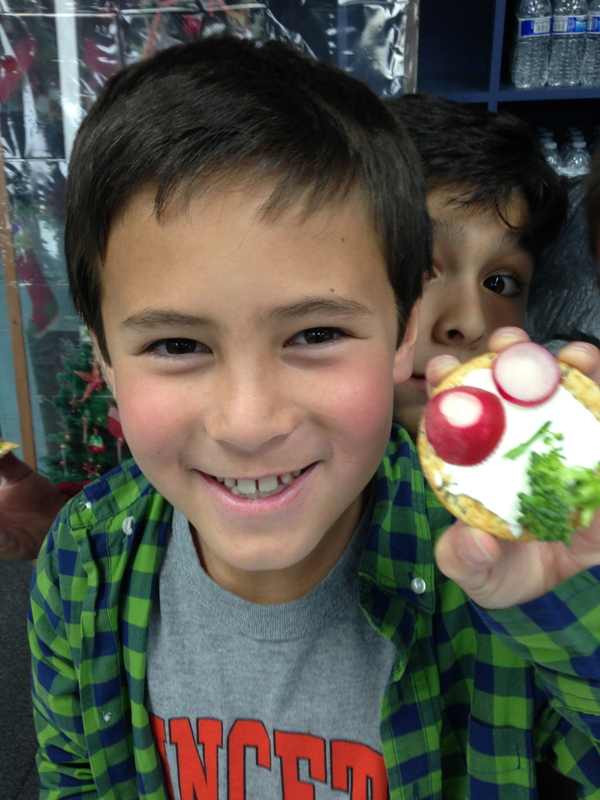 A modest radish and broccoli harvest was enough for a treat on a whole grain cracker in Mrs. Younce’s class. Parent, friend and native plant guru Art Cole planned and purchased natives for the area to the side of the Kandu Gate. Plants include creeping snowberry, “Joyce Coulter” Manzanita, monkey flower, sedge, yarrow and currants. 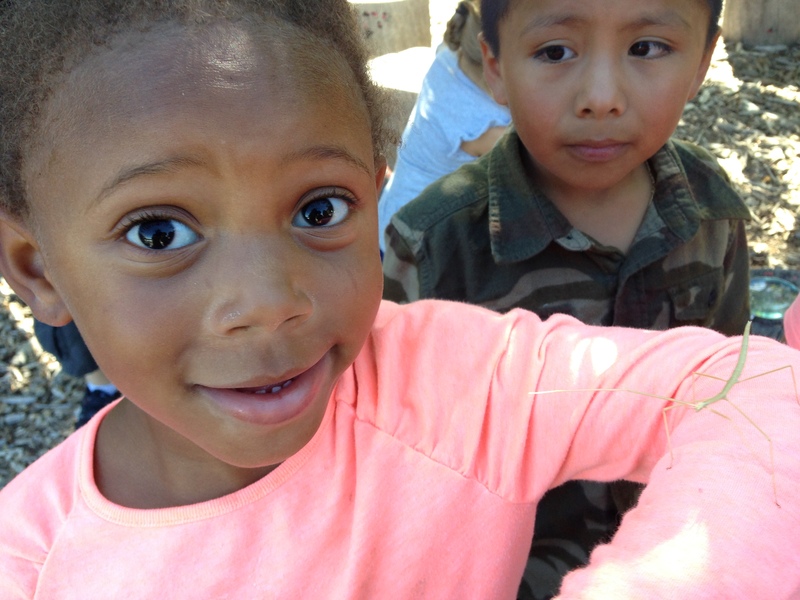 Garden Ambassadors helped me dig holes and excavate rocks. Later I added red mulch and plant markers to help keep students from walking over them. 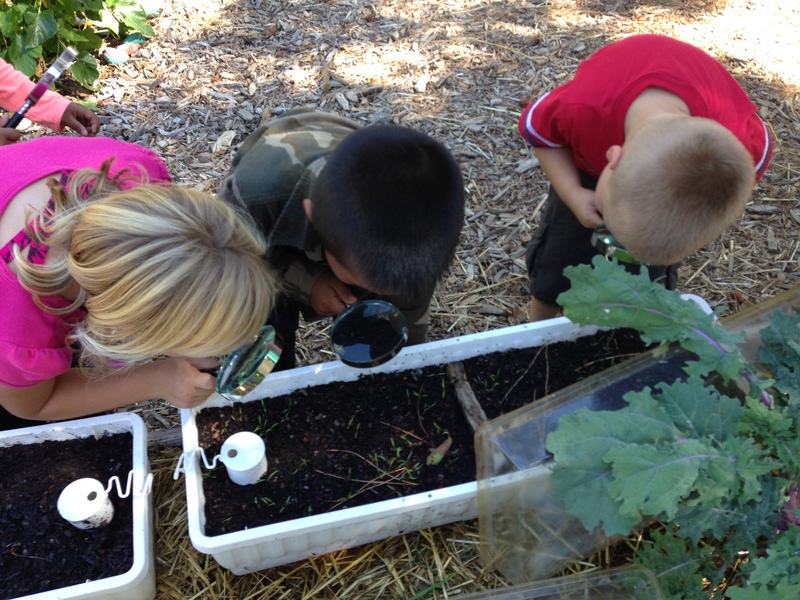 Our November Backcountry Collaborative marked the end of our 1 year USDA Farm to School grant. 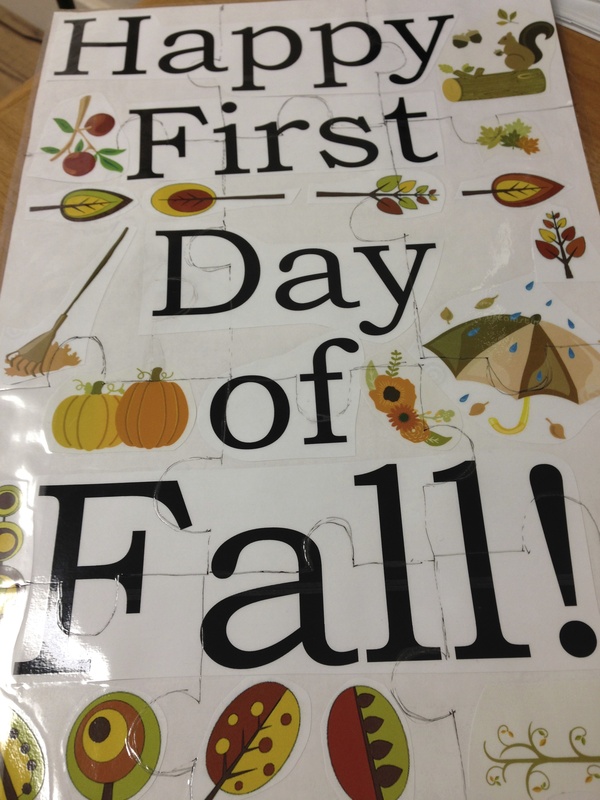 Pictured below are a few of the seasonal crop banners we had made to decorate our lunch area. 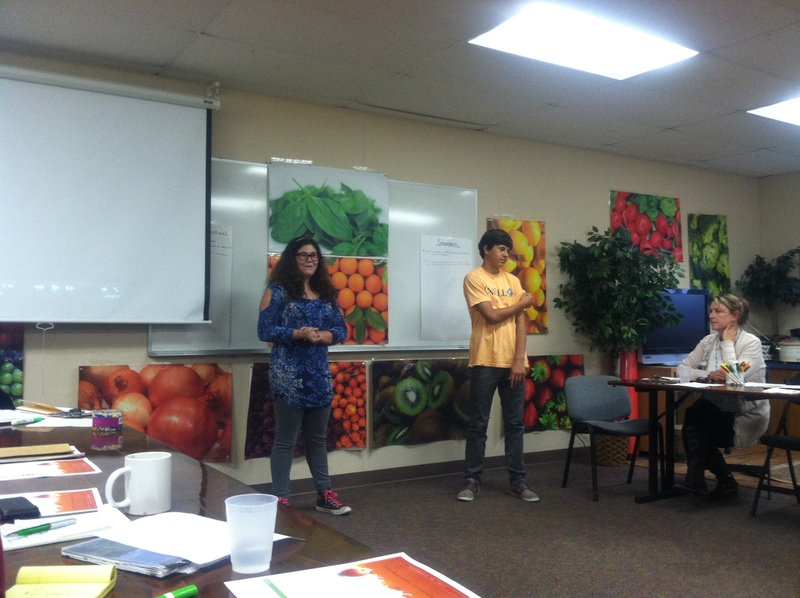 Also pictured are two eight grade students (confession: the boy is mine) who are introducing the food film they made for their elective class, Food Justice. The title of their film: Pie-oneering, The story of the first commercial pie restaurant in Julian. 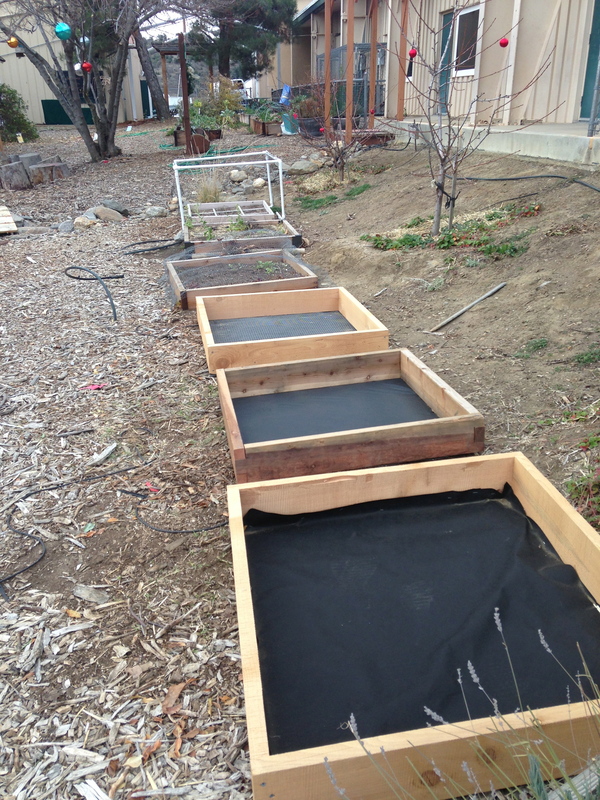 “Garden Beneficial” Harvey and Mr. Copeland worked with students to build 3×3 beds to increase our edible space, a goal of our Farm to School planning grant. 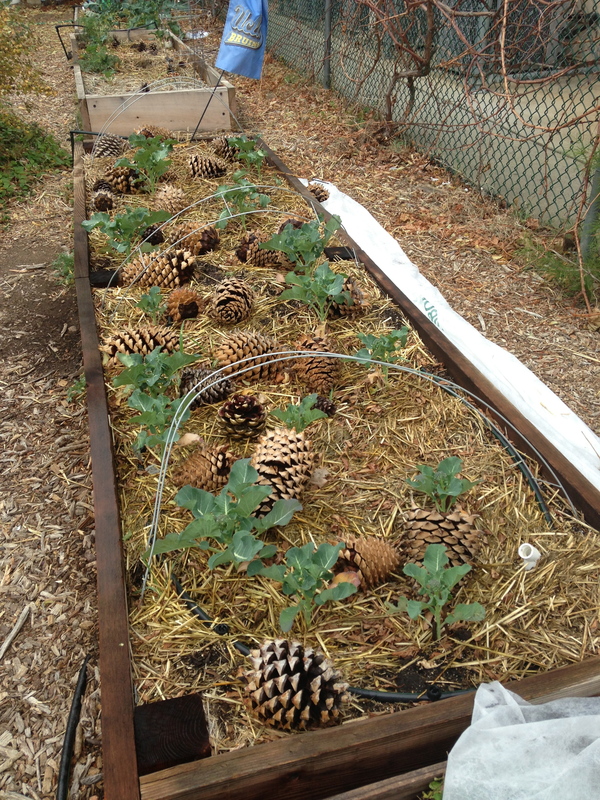 Our harvest of the month for November and December: beautiful broccoli! Notice the hoops and the agrobon, which we’ve used a bit with a few cold/snowy nights. 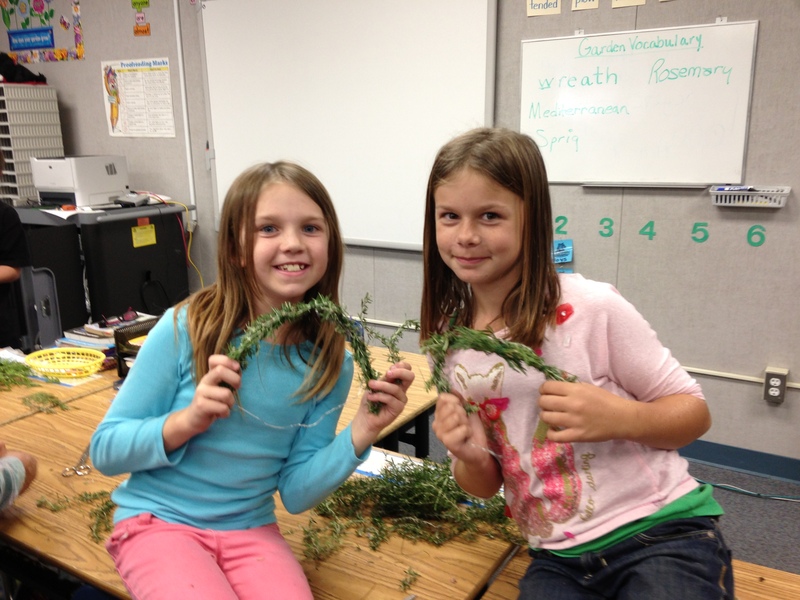 Wreath making with herbs (primarily rosemary) and cedar was a successful holiday activity. 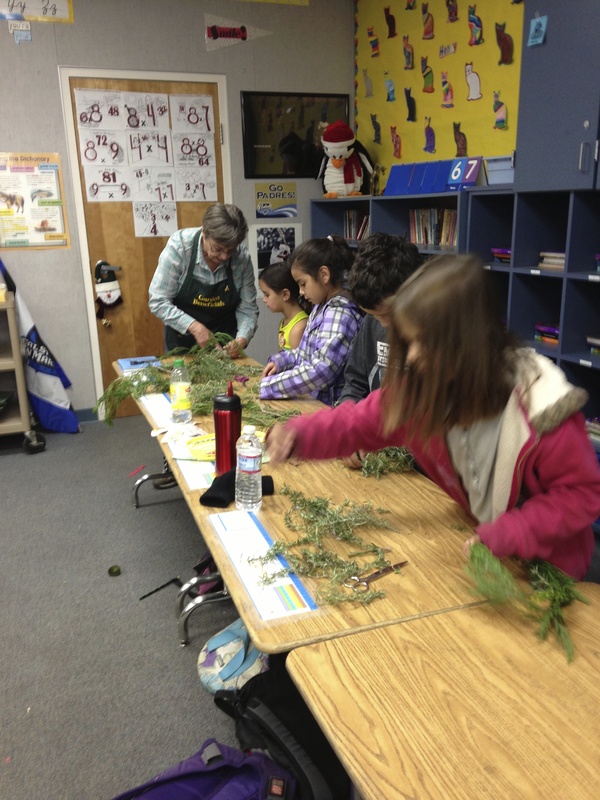 And the classrooms have never smelled better! Happy New Year everyone! 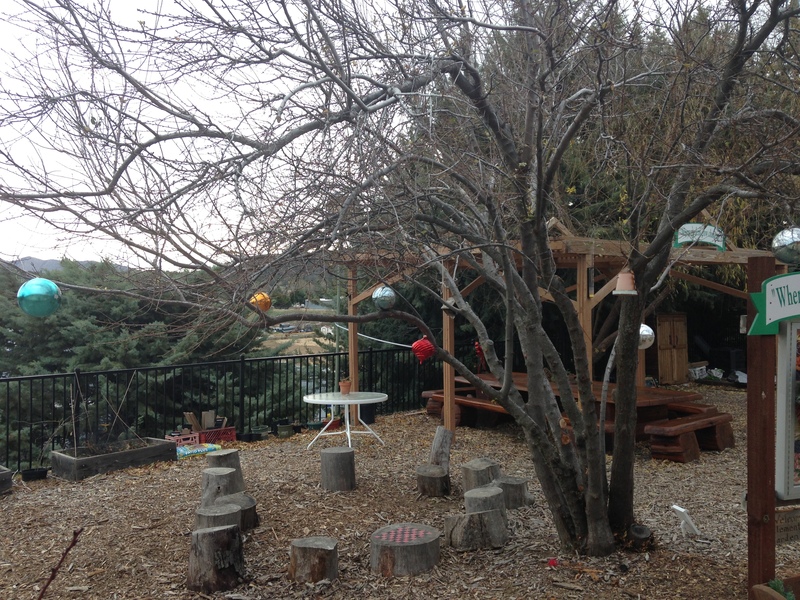 Here’s to more stories flowing from the school garden….